[prMac.com] Saint-Petersburg, Russian Federation - New eWeather HD 2.9 app puts everything you need to know to prepare for a summer season - in the palm of your hand. 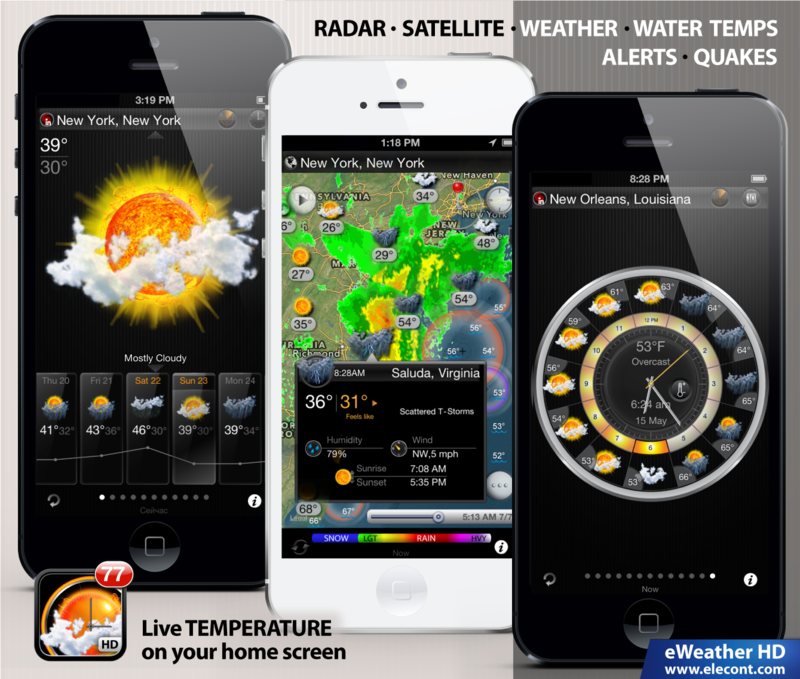 Using data from the NOAA, eWeather HD displays both radar and satellite images, beach water temperatures, tornado and thunderstorm weather alerts and much more. 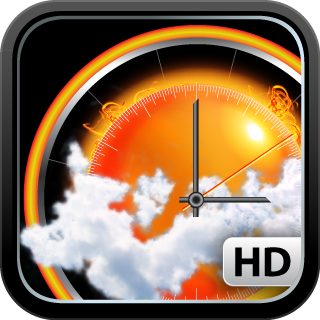 For a limited time, eWeather HD 2.9 is offered at an introductory one-time fee of $1.99 USD (or equivalent amount in other currencies) and available worldwide exclusively through the App Store in the Weather category. There are no subscription fees or hidden costs. Elecont LLC is a fast growing software development company specializing in the mobile market, developing software solutions for Android, iOS and Windows Mobile devices. Elecont LLC was founded in 2007 and its primary offices are located in Russia. Copyright (C) 2013 Elecont Software LLC. All Rights Reserved. Apple, the Apple logo, iPhone, iPod and iPad are registered trademarks of Apple Inc. in the U.S. and/or other countries.